– Providing the national and international life science community with a state-of-the-art bioinformatics infrastructure, including resources, expertise and services. – Federating world-class researchers and delivering training in bioinformatics. 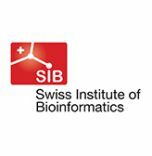 SIB counts some 60 groups from the major Swiss schools of higher education and research institutions and more than 750 scientists with a strong presence in Lausanne.